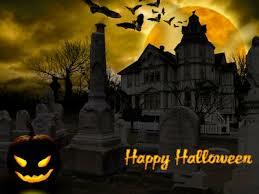 Even Halloween gives rise to legal issues that may pertain to our blog readers. This blog post will address haunted houses, zombie houses, ghosts and other scary situations from a legal perspective. Unfortunately, a crime, suicide or other unpleasant event may have happened in a house prior to sale. Such a house may be considered to be “haunted”. Does New York law require disclosure that the house is haunted to a potential buyer? The answer is no. New York is a caveat emptor state, meaning “let the buyer beware”. Psychological issues do not require disclosure. It is the buyer’s responsibility to conduct inspections, ask questions and develop her own opinion about the neighborhood, school district and conditions in the house. Once the buyer has accepted delivery of the Deed at the closing, she has no claim against the seller for property conditions except those that specifically survive the closing according to the contract between the parties. The only exception to this concept is New York’s Property Disclosure Law . This requires the seller to complete an extensive list of questions detailing property condition, such as has there ever been an oil tank at the property, is the electrical system original and the like. If a seller does not provide the completed Property Disclosure form, a $500.00 credit is to be provided to the buyer at closing. Interestingly enough, in upstate New York, most sellers complete the Property Disclosure form, while in downstate counties typically served by our firm, most sellers opt to credit the buyer at closing rather than complete said form. A “zombie house” is one that may exist in practically any neighborhood. Perhaps the owners could not keep current on their mortgage and tax payments and abandoned the property. After that and due potentially to legal complications, the foreclosing lender does not effectively prosecute the foreclosure case and said case is indefinitely stalled. The neighbors will then have a frightening sight: an abandoned house that becomes progressively deteriorated. Is there legal recourse that the neighbors may undertake? Such legal action is not readily available. The neighbors’ best plan of attack is to complain to their local building or other municipal department, so that the property may be secured to prevent vagrants and problematic activities, such as squatters, theft of copper pipes and wiring and unauthorized appliance removal. Until legislation is enacted requiring lenders to maintain properties during the foreclosure process, zombie houses will most likely remain in our neighborhoods. Scary things are also experienced by our estate clientele. In a prior blog post , we wrote about “ghosts” in the estate context. This is a situation where an estate is probated or administered, which requires notification to those in the first class of relatives whose relationship is first cousin once removed or closer. For various reasons, we may not know the names of such people or if we know their names, we may not know if they are deceased or their location for notification. These people are known as ghosts. The Surrogate’s Court will order publication to the ghosts, so that they may appear in Court on the designated date, if indeed they do exist. Whatever your fears may be, our attorneys will do their best to resolve your legal issues. Wishing our readers a fun and safe Halloween.